Leading the world in incarceration, the U.S. struggles to find a balance between justice and punishment. Since the 1970s, the primary focus of criminal justice policy has been getting criminals off the streets. 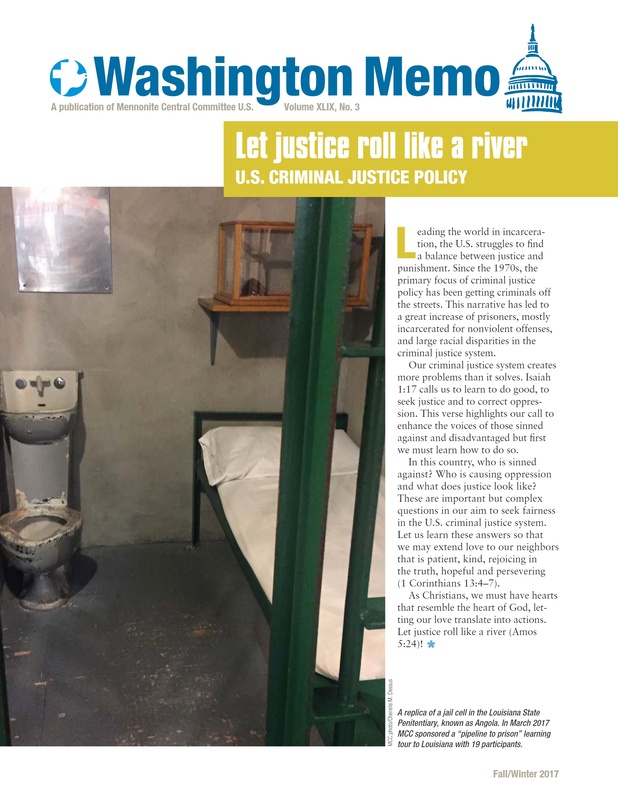 This narrative has led to a great increase of prisoners, mostly incarcerated for nonviolent offenses, and large racial disparities in the criminal justice system. Our criminal justice system creates more problems than it solves. Isaiah 1:17 calls us to learn to do good, to seek justice and to correct oppression. This verse highlights our call to enhance the voices of those sinned against and disadvantaged but first we must learn how to do so. In this country, who is sinned against? Who is causing oppression and what does justice look like? These are important but complex questions in our aim to seek fairness in the U.S. criminal justice system. Let us learn these answers so that we may extend love to our neighbors that is patient, kind, rejoicing in the truth, hopeful and persevering (1 Corinthians 13:4-7). As Christians, we must have hearts that resemble the heart of God, letting our love translate into actions. Let justice roll like a river (Amos 5:24)! Sign up to see our updates at washington.mcc.org and let us know how we can connect with you in the coming year!